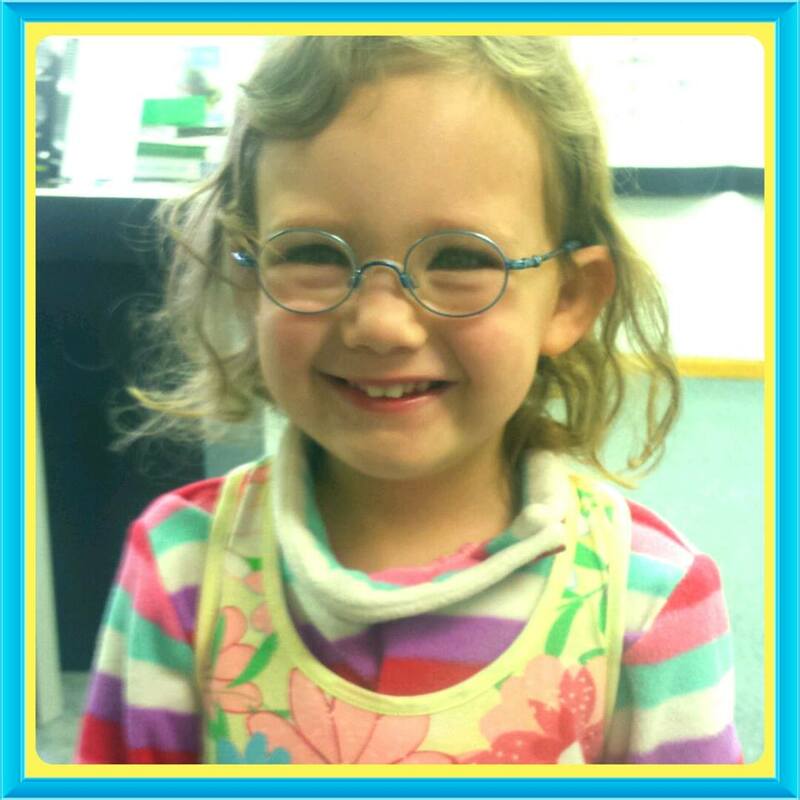 Spectacles for children are different in all aspects and there is a lot to be considered when choosing a frame for a child. 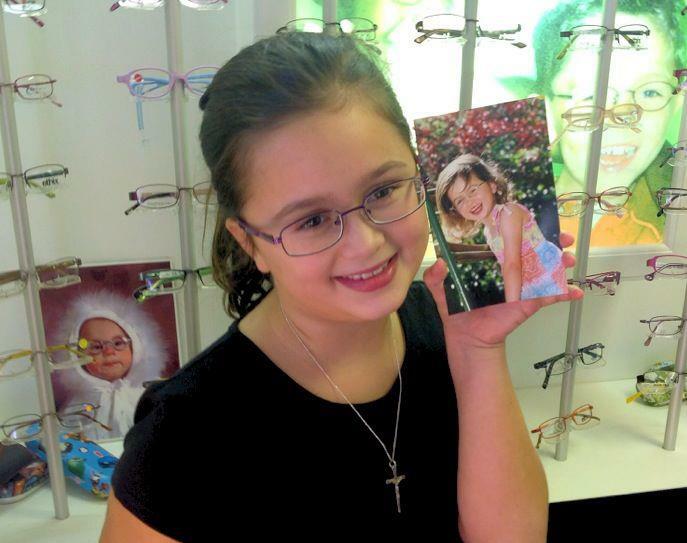 Frame selection is smaller for kids than for adults and most manufacturers will not make the necessary modifications to a frame for it to truly fit a child. 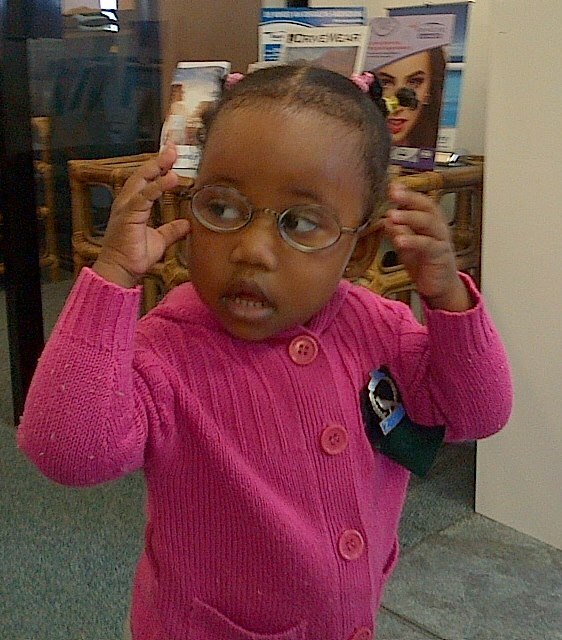 Children have more sensitive skin, smaller heads and are rougher on their glasses. The bridge needs to have a flat design to fit onto the flatter bridge and still be comfortable. A frame for a child needs to be stronger and have good quality materials. Also don’t forget a child spends most of its day looking up at us due to their size. The frame shape and size is therefore very important. A flat rectangular frame might be “trendy” but the child spends most of its time looking over the top than looking through the lens. A rounder shape or a shape with the bridge centred rather than on the top is a better choice as it will cover the eyes and allow the child to look through the lenses and the prescription at all times. There is a lot to be considered when choosing the perfect pair. METAL FRAMES – Are thinner and a lot more subtle but often not ideal for high prescriptions as the thinner frames will not hide a thicker lens. They also should be nickel free with non-toxic coatings. Insist on flexible hinges (spring hinges) our all-time favourites are the flexible titanium alloys that are bendy and fall back into place after being bent. They may be pricey but so worthwhile for an active kid. Otherwise look at stainless steel or titanium as these materials don’t react easily to the oils in the skin or become brittle with age. Metal frames come with nose pads that are adjustable to fit the nose and nose pads can be changed to different sizes. We find the round ones work very well as they do not dig into the soft skin. For smaller kids consider a curly temple that fits right around the ear. It is very important that the curly temple is fitted properly and the right length. PLASTIC FRAMES – Are bolder and make a statement. 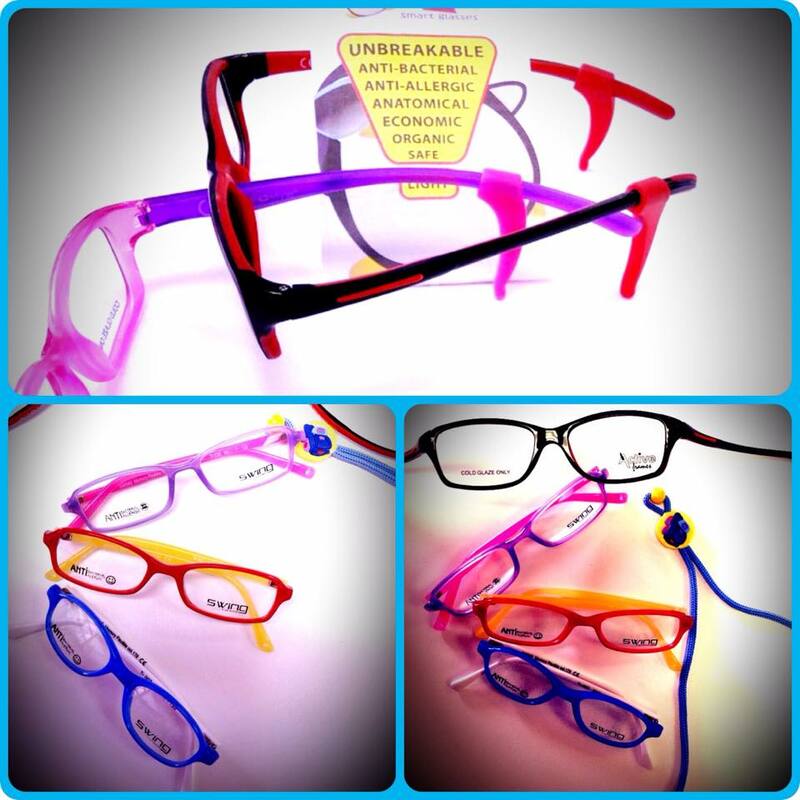 They come in bold colours and are thicker by nature which is great when a higher prescription needs to be camouflaged. They should be made of high quality materials such as acetate or nylon hybrids both of which are extremely durable whereas the latter can be made in softer versions. Again spring hinges are recommended as these bounce back rather than bending out of shape. More and more styles now come with a lock temple that stops the frames from slipping and keeps them in place. It is of utmost importance that plastic frames fit well on the nose and behind the ears from the start as are not as adjustable as metal frames. 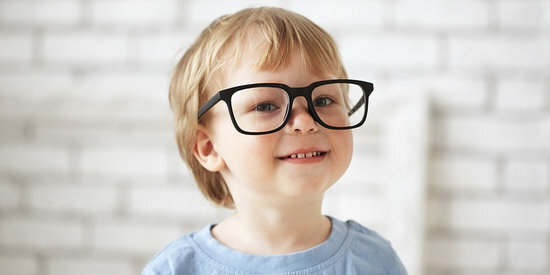 Frames should not be bought a size bigger thinking “the child will grow into them” A frame that is too big will just cause distortion in the child’s peripheral vision and add extra weight to the nose. A child will need to change frames at least once a year depending on age as they are still growing and will outgrow them in that time. LENSES - The choice of lenses depends mostly on the budget but regardless of anything safety MUST come first. NEVER I repeat NEVER consider glass lenses. On impact glass just shatters and will cause injury to the eye. Glass is also extremely heavy and is a very outdated material to use for spectacles. 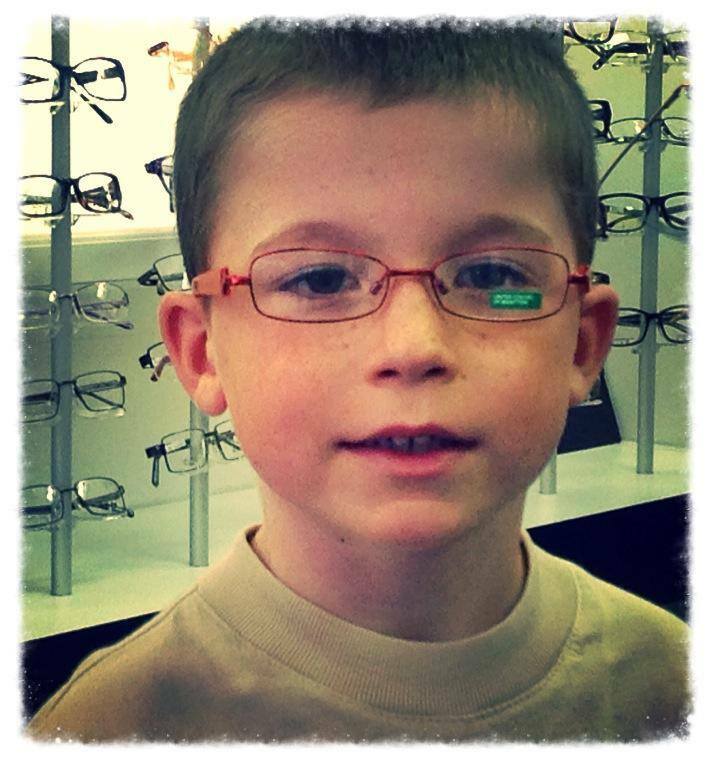 Polycarbonate or Trivex lenses usually are the best choice for kids. Most children we see have a fairly high prescription anyway this is why we recommend lenses that are thinner and reduce distortion as well as reduce the appearance of magnification or minification. This helps so that the eyes do not appear too big or too small behind the strong lenses. In technical terms we would suggest an aspheric and higher refractive lens. If finances allow we would suggest an anti-reflection coating. This is to minimise reflections on both sides of the lenses so firstly you can see the child’s eyes, secondly the child’s vision is not hindered by reflections on the back side of the lenses and it also helps to minimise the appearance of thickness. 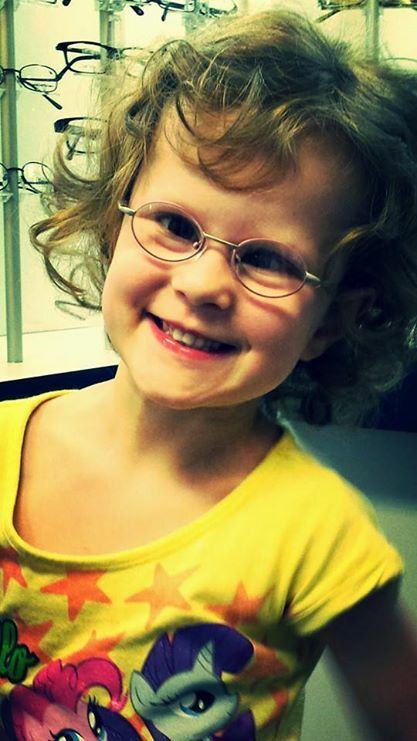 Most kids with a high prescription tend to be light sensitive; a photochromic lens can help with this immensely. This is a lens that will go dark in the sun and back to an almost clear lens indoors. We do however work with your budget and will always try and accommodate that but also giving the child the best value for money. 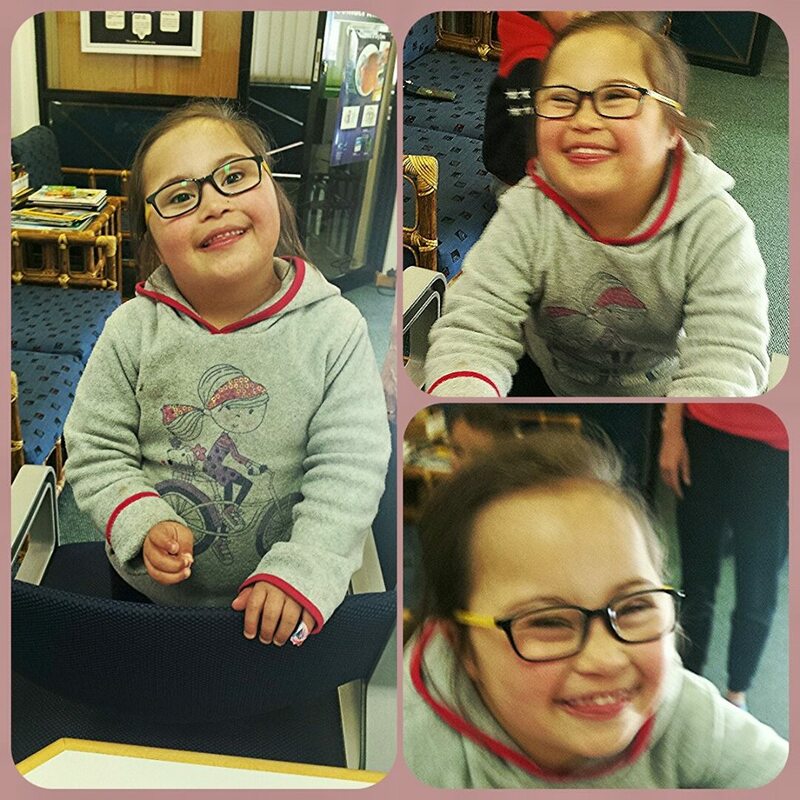 We are extremely passionate about our kids here at Brian Roos Optician and will always strive to give the best advice combined with expertise and a smile. Our kids are like family and we love the smiles, the letters , the high fives,the hugs and all.